Curate Professional Videos Like A Pro! 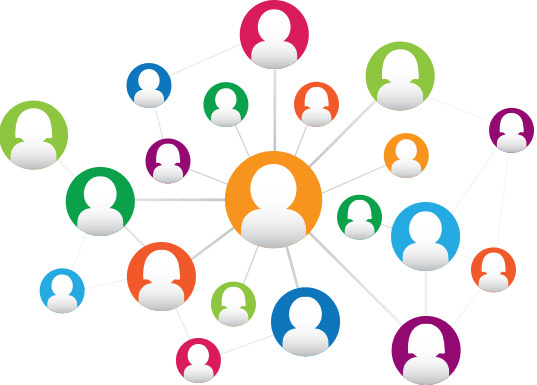 Create 100s of Attention-Getting Videos Using Just A Keyword! 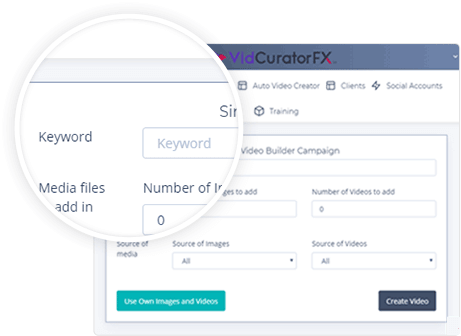 VidCuratorFX2 is the most convenient way to curate result driven videos that will promote your business. Create marketing videos and, Ads for your social media platforms. Gives you opportunity to create and improve brand awareness using effective professional videos that deliver result. Video Curator FX2 creates endless variations of your video in a single click to dominate all kinds of keywords in YouTube and Google! Put your branding to work in every video by setting up custom intros and outros for every video. Gives you that high-end production glitz that you see in big-budget videos. Change absolutely anything you want, at any point of time. Add Intro & Outro Slides, Transitions, Image Filters and effects anything... any time. Make your videos compelling and more engaging by applying in-built effects and transitions. Add your own music, or choose from the library to give your videos the professional touch they deserve, and keep viewers engaged from start to end! Add effects to your videos and slides to make sure they stand out and grab attention instantly. Use the transitions to make your videos spectacular and creative. No requirement for creativity or extra efforts. Customize them in few easy steps. Not only VidCuratorFX2 finds high quality images from web to curate into your videos but it also uses our massive library of 40000+ images. Add effects to your videos and slides to make sure they stand out and grab attention. Call-to-action, Watermark and text message looks as powerful as you present it. With 1000+ professionally selected fonts, you can now add that professional look to your texts in the video. Create script or text and, VidCuratorFX2 will convert the text into high quality voice overs with 50 different voices to choose from with an option of multiple languages. 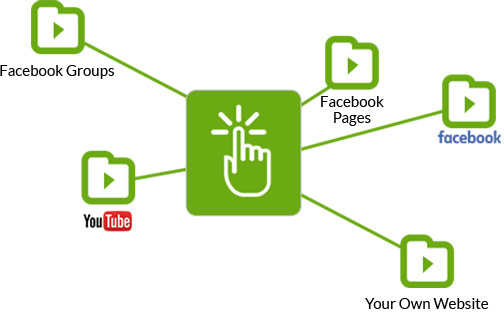 Reach any niche with automatically spun titles and descriptions for each video upload. Import logo or add personalized texts, adjust transparency and turn it into your own watermark. VidCuratorFX2 is a 100% whitehat app. It doesn't spam social media, violate any terms, or do anything illegal. There's nothing to download or install or configure. Simply login to your VidCuratorFX2 account and start creating attention-getting videos in seconds from now! 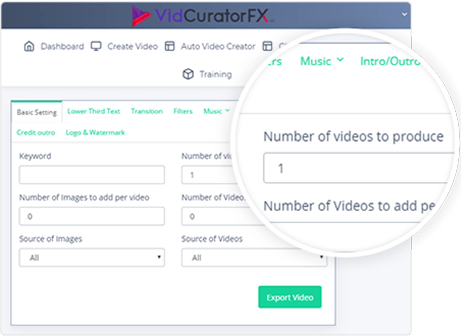 With over 100s beta testers and months in research and development, VidCuratorFX2 is a proven, fail-proof way to crank out 100s of videos with a few clicks or taps... even if you're not creative! Sit back, crack a beer, and watch VidCuratorFX2 automatically share your videos to Facebook and YouTube. Watch your reach ignite, hands free! With VidCuratorFX2 's scheduler, you can choose specific times to post your videos. Then just sit back and relax, and let VidCuratorFX2 handle the work for you. Curate videos in less than a minute just like us! This guarantee gives you 14 days to test drive VidCuratorFX2, and see if it's right for you. 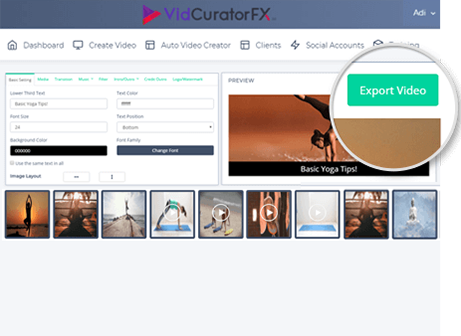 We want you to use VidCuratorFX2 right now, in the next 5 minutes, and see how quick and easy you can create videos for social media and your marketing. See how much money you'll save on tools, freelancers and stock images. And we guarantee, if VidCuratorFX2 doesn't help boost your exposure... you won't pay a single dime. Instead, we'll refund every penny! Ans – VidCuratorFX2 is a cloud-based app so yes, it��l work on your Mac, PC, Tablets and even mobile phones. You can login and create visual content from anywhere in the world, using any device. Ans – During our special offer right now, there are NO monthly fees or setup costs. The price you see above is the only price you pay, one-time-payment. There�� nothing else to pay. Is this free for version 1.0 buyers? Ans – VidCuratorFX2 is a completely different platform and a new software. It is not free for V1 buyers. If you own v1, you can upgrade to v2 using a special discount you can find inside your dashboard. PLUS you current v1 has also been update to a cloud based software from desktop.